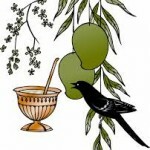 Hindu lunar year starts with Chaitra Masam. Chaithra means a temple or a memorial. According to hindu scriptures, Lord Brahma created this universe onthe day of Ugaadi. 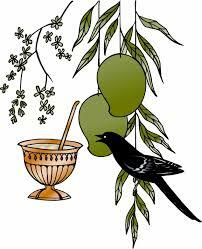 Several festivals are celebrated and different dieties are worshiped during this month. Chaira is the first month in the hindu calender. This year, Chaitra mahina starts on 17th March 2014 and Ends on 15th April 2014 in purnimant calenders. Important celebrations in this month are Sheetala Ashtami, Papamochani Ekadashi, Chaitra Navaratri, Ugadi, Gudi Padwa, Gauri Puja (Gangaur), Yamuna Chhath, Rama Navami, Kamada Ekadashi and Hanuman Jayanti. In Amavasyant Calenders Chaita month falls between 31st march 2014 and 30th April 2014. Ugadi, Gudi Padwa, Chaitra Navaratri, Gauri Puja (Gangaur), Yamuna Chhath, Rama Navami, Kamada Ekadashi, Hanuman Jayanti and Varuthini Ekadashi are the major festivals in this month. Purnima (full Moon day) during Chaitra month is called as Chaitra Purnima or Maha Chaithri.River baths, arranging of water and shelter to the travelers, performing anna danam are considered auspicious in the Chaitra Masam.